There are many varieties of Fantôme, but it's always rough trying to figure out what makes each one different. 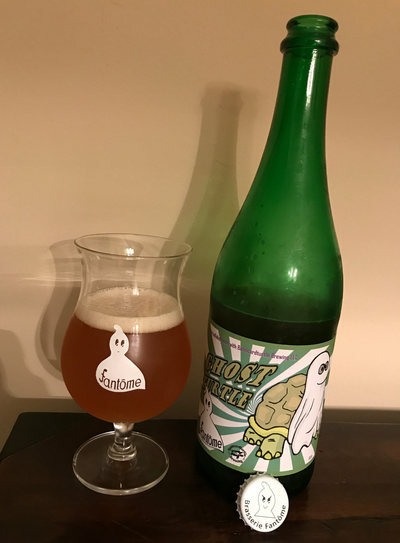 Sometimes the addition is obvious or well known, but most of the time you're just left with the label's cryptic "Belgian Ale brewed with spices" (and occasionally additional "herbs"). The ghost never reveals its secrets! But sometimes you can get an inkling. Beer Nerd Details: 8% ABV bottled (750 ml corked and capped). Drank out of a tulip glass on 7/9/17. Beer Nerd Details: 4.5% ABV bottled (750 ml corked and capped). Drank out of a tulip glass on 7/16/17. So there you have it, two new Tômes that have at least partially been explained. But one can never be truly sure what a Ghost consists of... As Dany likes to say: Secrets, secrets. Up next on the Tôme front is the new batch of Été (which, as I understand it, is drastically different than the last one I managed to procure) and a Ghost I'm going to save for Kaedrin's annual Six Weeks of Halloween marathon! It seems like I've been covering this sort of thing a lot lately. 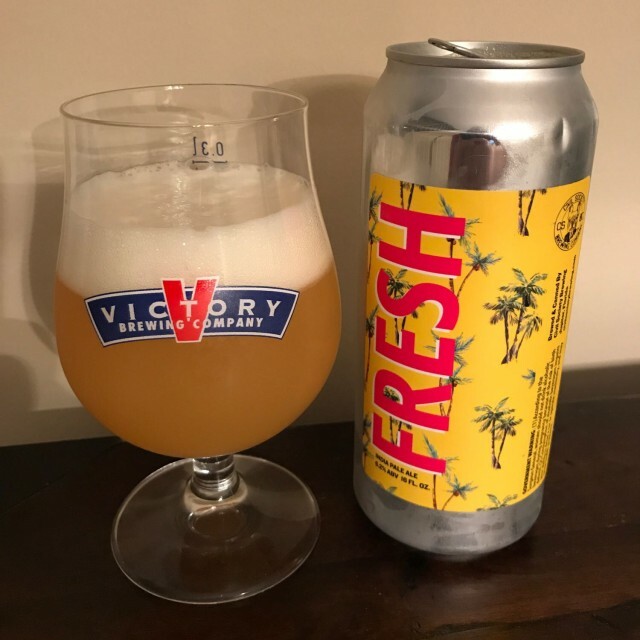 What do you know, a new Northeast brewery that I've never heard of making great IPAs, will wonders never cease? 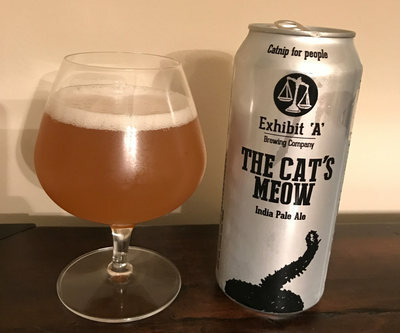 This is far from Exhibit 'A' in the ongoing trial of the People vs. Northeast IPA (both in timeframes and quality), but it's probably a worthwhile exhibit that is worth pursuing if you're in Massachusetts and feel doing some courtroom sketching or something. Objection! Speculation. Overruled... but I better be going somewhere with this. Pretty good for right now. Dammit, I should have said "right meow", what's wrong with me? Every summer, I find myself vacationing in Ocean City, Maryland. I'm not one of those people who go to the beach every weekend (I don't like sand. It's coarse and rough and irritating and it gets everywhere. /Vader), but I enjoy it every once in a while, and it's a way to get out of my Philly rut in many ways. Including beer! 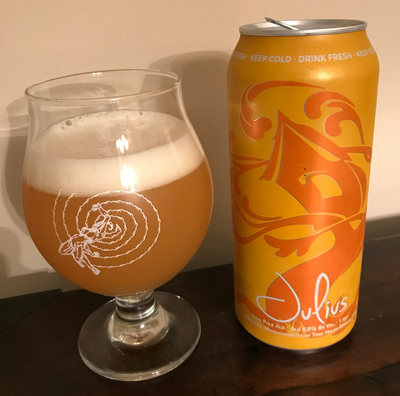 A couple of years ago I discovered Burley Oak Brewing, just a hop and a skip away in Berlin, MD, and it just so happened that this year's OCMD trip perfectly coincided with a can release of four different beers. Such releases come in many flavors. 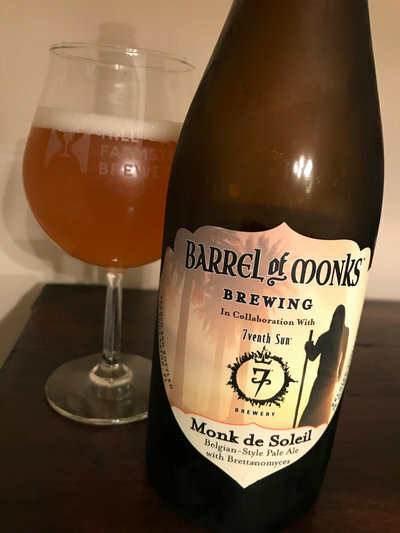 There are infamous national attractions, like Dark Lord day, that are more like festivals, but the grand majority of releases at most breweries tend to be relatively mellow affairs. You maybe go a little early and wait in line, but often even that level of committment isn't needed. Then there is a kooky tier of relatively small breweries that nevertheless generate an insane demand. 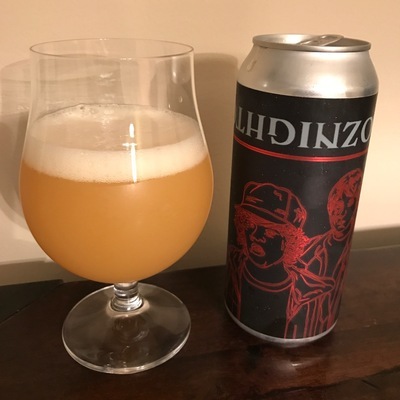 Local Kaedrin favorite Tired Hands falls into that category, and while their releases have calmed down somewhat on the whole, they still get insane for certain beers (notably Milkshake variant cans and Parageusia bottles). 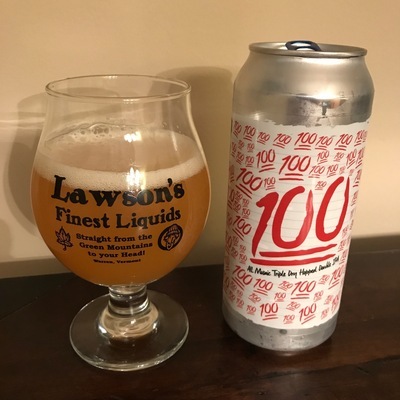 There are some other PA breweries that generate a lot of angst over releases (i.e. Voodoo, Bullfrog, etc...) but in general, these are the events that make the normals think that beer nerds are degenerates (and, well, they're not wrong). 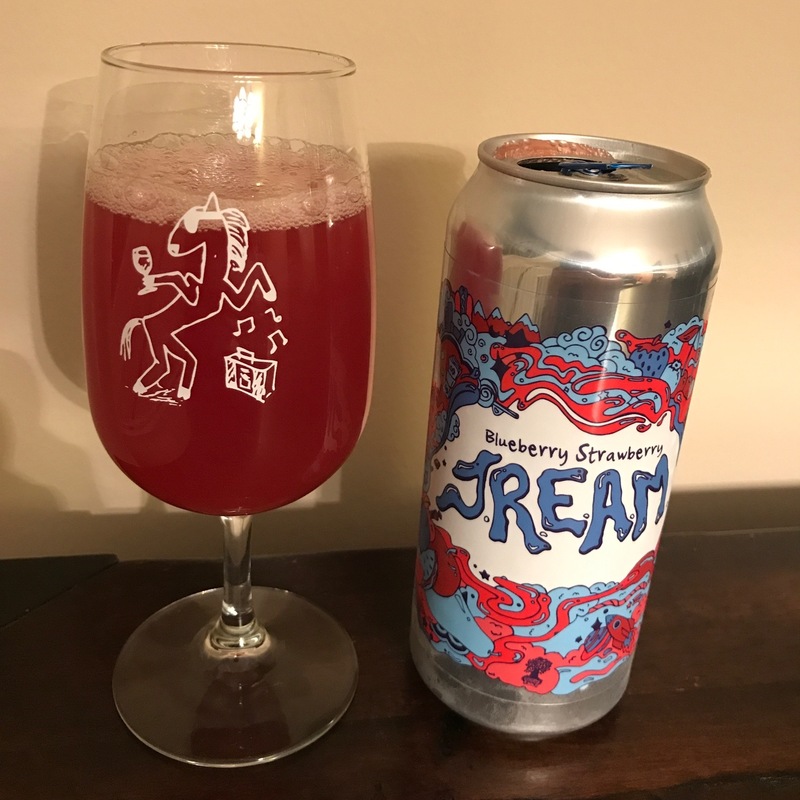 Beer Nerd Details: 4.8% ABV canned (16 ounce pounder). Drank out of a charente glass on 7/2/17. Released: 7/1/17. Burley Oak Coffee N' Cream - Cream ale with Burley Oak's house made cold brew coffee. 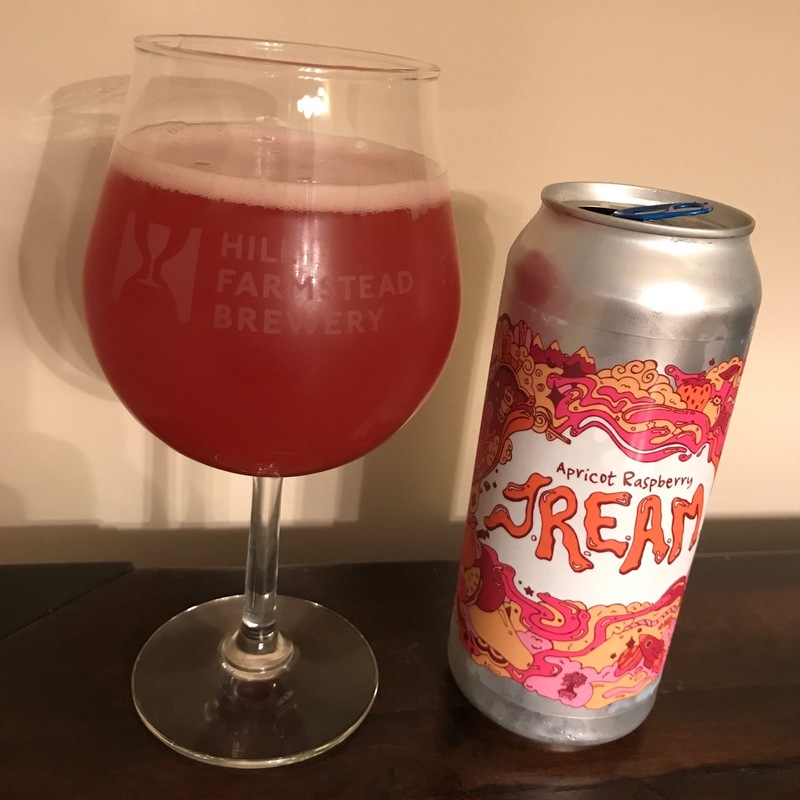 Hey look, this is apparently the first time I've written about a cream ale. Score? - Pours a clear golden color with a finger of white head. Smells strongly of roast coffee and not much else. Taste hits that coffee flavor pretty hard too, an underlying sweetness peeks out a bit too. Mouthfeel is medium bodied, well carbonated, and easy to drink. Overall, this is not a beer for coffee-ambivalents like myself, but if you do like coffee, you may enjoy. For me, I'll give it a C+ because I'm the worst. Beer Nerd Details: 5.1% ABV canned (16 ounce pounder). Drank out of a tulip glass on 7/3/17. Released on 7/1/17. So there you have it. I probably won't be going to far out of my way for these releases, but there is that annual trip to OCMD, so there's always a chance! 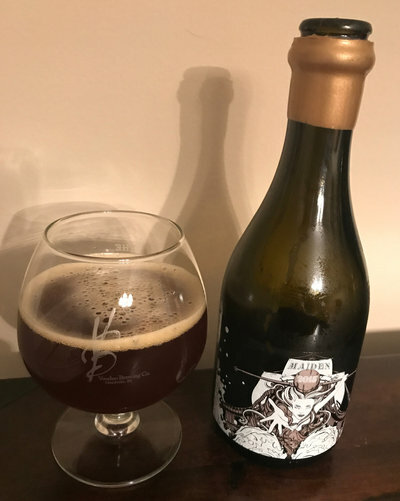 England's Siren brewing started luring unsuspecting and wary travelers to their doom a few years ago, and the first beer they brewed was a big American-style barleywine - their "maiden" voyage, if you will. 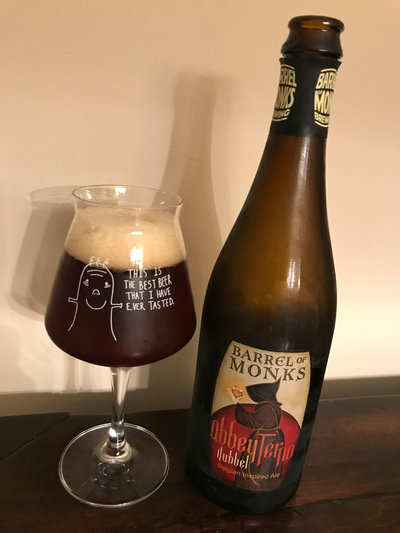 They promptly stashed the result away in various wine and spirits barrels and got a crew together to come up with a harmonious blend at the end of the next year. They never fully empty the barrels, though, leaving at least 10% left and refilling the remainder with fresh Maiden for the following year's batch. A sorta hybrid solera type system going on here, and I find myself reminded of a few big American efforts along similar lines. The solera-esque nature recalls the Bruery's Anniversary beers, the same-beer-in-different-expressions approach is like FiftyFifty's Grand Cru, and the whole Anniversary blend thing reminds me of Firestone Walker's Anniversary beers... Pretty good company, if you ask me. Beer Nerd Details: 11.9% ABV bottled (500 ml waxed cap). Drank out of a snifter on 7/7/17. Vintage: 2015. I may have to dig a little deeper into Siren's catalog, as this was quite pleasant. Would love to try other vintages to see how much the differing blends and barrels contribute. The Session #125: Mark SMaSH! Are they trendy? When would they be considered to be trendy? Have you seen/had a variant (x-infused, fruit, ...) single malt and single hop beer? More than one? What purpose do SMaSH beers fill? For you, personally, and/or generally. Do they offer anything to drinkers, especially non-brewing drinkers? There are four main ingredients of beer (water, barley, hops, yeast), so strictly controlling two of them reduces the variables, making it an interesting experiment, especially when part of a series. 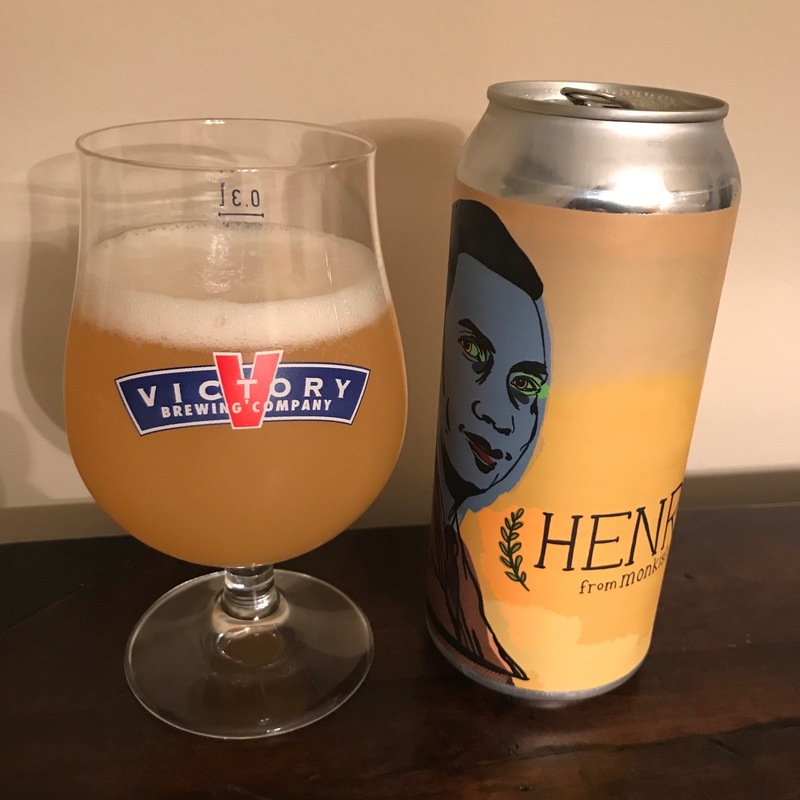 This can go multiple directions, highlighting a particular malt, hop, or even yeast or water, depending on what you vary from batch to batch. This does sorta depend on having a series of SMaSH beers to compare, but comparative drinking is something I enjoy and can be illuminating for novices or experienced lushes alike. Do they fill a niche in any beer style space? One that matters to you? Are they a "style," however you define that? I have never brewed a SMaSH beer. I wouldn't rule out the possibility and I like the idea of working within restraints, but at the same time, I don't brew often enough to really get the most out of the idea. Absolutely! You could achieve this sort of thing with various lager styles (maybe a Kolsh?) or Belgian styles. 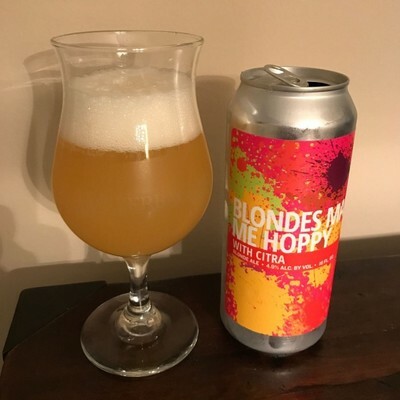 In fact, as mentioned above, I'm virtually certain that I have had SMaSH beers that would fall under those styles that simply don't advertise the simplicity of their recipes (or that weren't made with SMaSH in mind, but nonetheless qualify as SMaSH anyway). 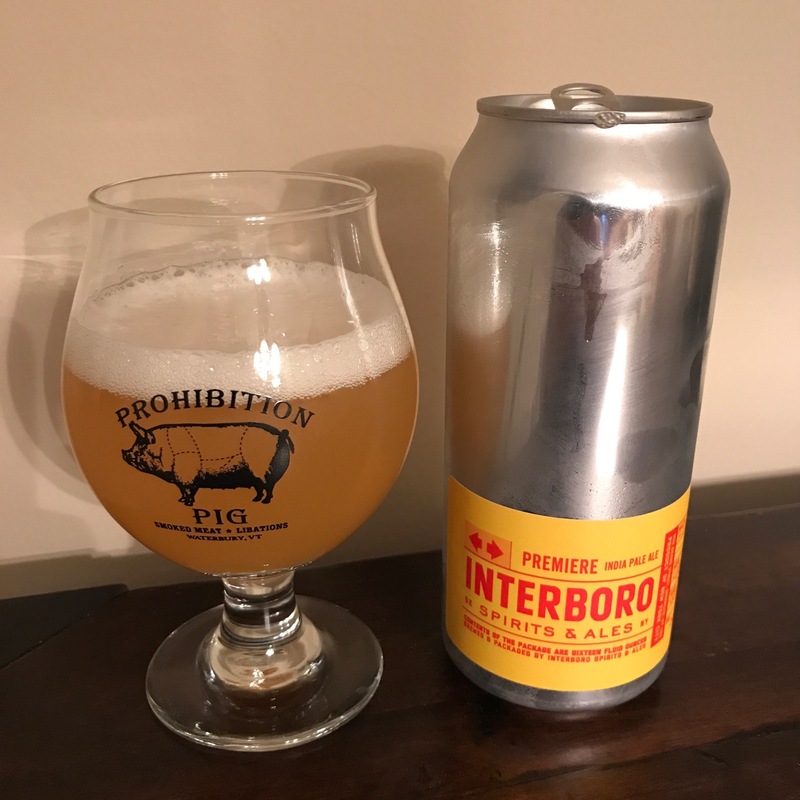 Interboro Spirits & Ales continues NYC's beer renaissance. 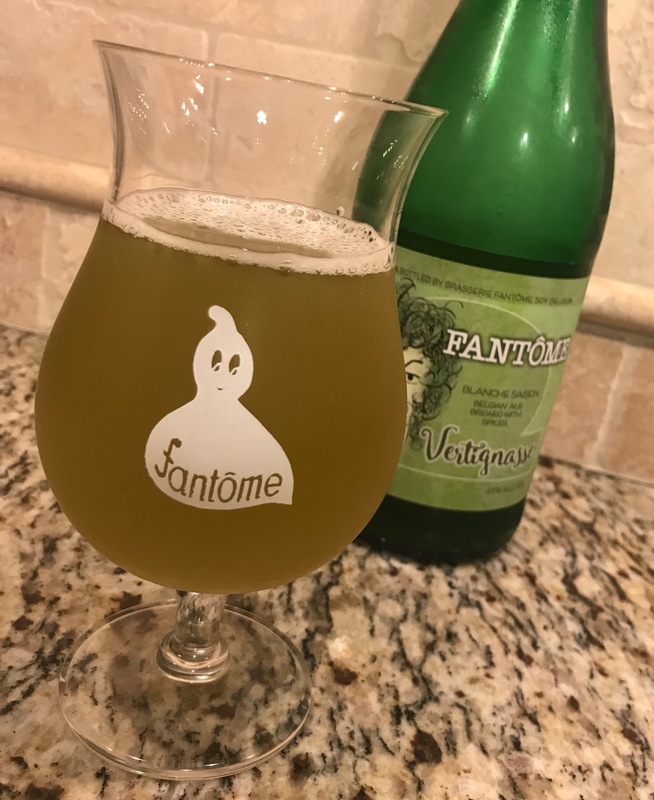 Less than a year old and I feel like they've joined their neighbors like Other Half, SingleCut, and Grimm (amongst others) as brewers to keep an eye on. Not to shabby for a region that used to be a bit of a wasteland for good beer (if my last trip to NYC a few months ago is any indication, they are greatly improved on all fronts, though still not where you'd expect for a city that big). 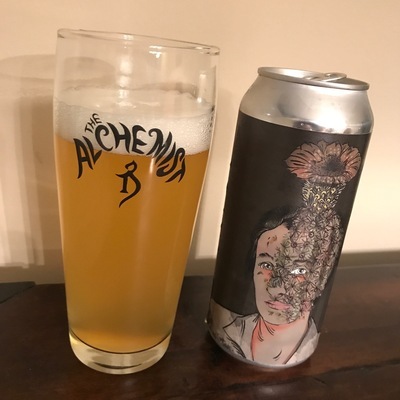 Beer Nerd Details: 6% ABV canned (16 ounce pounder). Drank out of a tulip glass on 7/3/17. NYC is killing it. 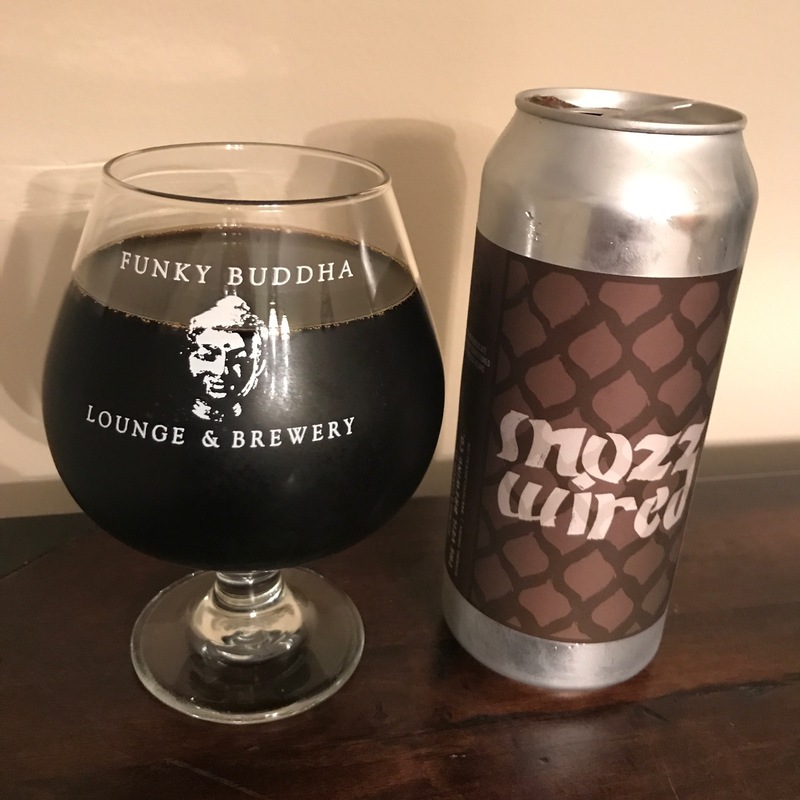 Many thanks to fellow Beer Nerd Pete for gifting this can to me. Who knows if or when I'll get more, but I'll certainly be keeping my eyes open for moar of their wares. It's a story as old as time. Or, like, 30 years. Something like that. Beer drinkers get fed up with expensive non-local beer, start homebrewing, get good at it, recognize the lack of a local brewing scene, and resolve to start up their own brewery. Beer Nerd Details: 6.2% ABV canned (16 ounce pounder). Drank out of a tulip glass on 6/23/17. No date on can, but I am assured that it was 1-2 weeks old. 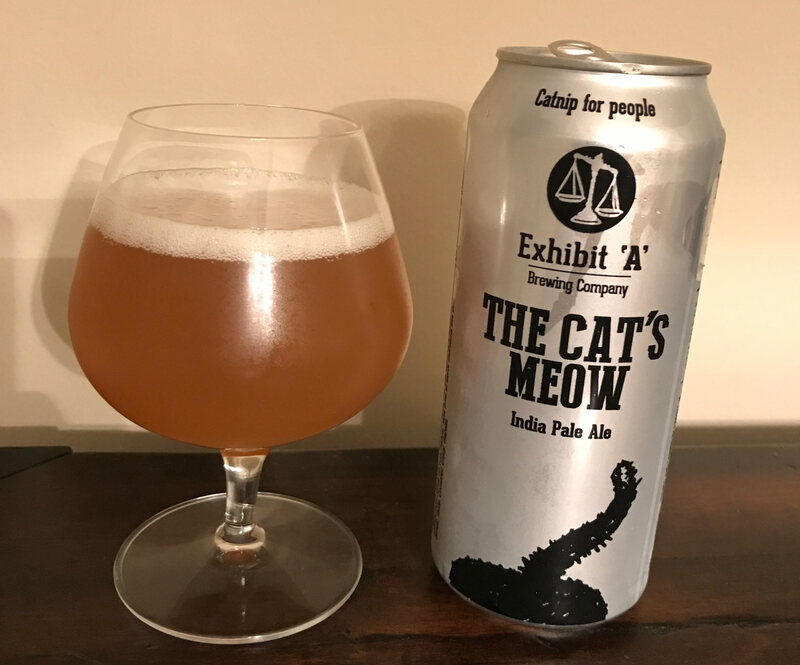 Beer Nerd Details: 4.9% ABV canned (16 ounce pounder). Drank out of a tulip glass on 6/24/17. No date on can, but I am assured that it was 1-2 weeks old. These are not the first Civil Society beers I've had, and they hopefully won't be the last. In the same league with the latest wave of NEIPA brewers, for sure.